Akari's pink haired classmate who originally wanted to join the Tea Ceremony Club, but ended up joining the Amusement Club as the Tea Ceremony Club was already abolished. 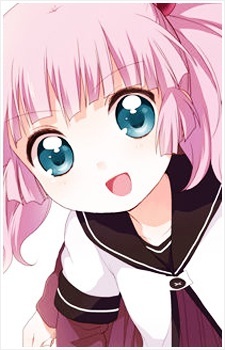 She is often chased after by Kyōko due to her resemblance to Mirakurun, though she herself has a passionate crush on Yui. She generally acts cute, especially in the presence of Yui, but she occasionally shows dark thoughts and a terrifying lack of artistic skills.